In this post, I'll try to explain everything from preparation to result about Oracle Certification. Following detail description in this post would be common to all Oracle Certification. But I will explain about Java 7 Certification. What needs to be studied for preparation, how to study and how to schedule your exam online. This certification has two level where first level talk about basic fundamental of Java, and second level specially dedicated to Java 7 new features. Third one of for up-gradation who has Java 6 certification. 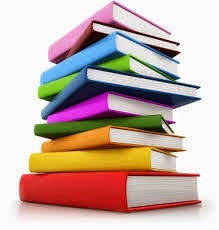 Following are list of books that you can refer for your certification preparation. You can download the e-copy of these books or you can buy hard copy of these books. Head First Java, Second Edition : I recommended this book to those who has just started learning java. First thing you need to do is to create an Oracle account on their website, which will be linked to your certification and their you can track your result, find your certification logo, personal detail including address where you want to deliver your hard copy of certification and many more things. There are many ways you can schedule your exam before that you need to create an account on pearsonvue website which is an Oracle Certification Testing website, their you can locate your nearby testing center, register for the exam and pay certification fee online with your credit card. No need of certification voucher. I heard many people taking about where should I buy Java Certification Voucher. They can buy voucher from many sites including Oracle. Just to be clear, certification voucher is a serial code number that you use at the testing center which is at the end going to be used at pearsonvue certification center. Personally, I prefer to buy voucher then redeeming the same online, it's better to book your exam online and pay there only, which is easiest the way I feel. The second way to register is find the testing center near your location, call them and ask for the appointment at the same day and pay by cash which is much easier than online booking. The amount you have to pay will vary because the price is in dollar and plus you need to pay the tax including certification price. If you are booking your exam by phone on the same day, I prefer your should call few testing center which is nearby your location because different testing have different prices. You should know the topics that you need to study for the certification and make sure you covered all the topics. Read all the chapter of the books and practice each and every question. After completing the book or each topics, do some mock test which is at the end of the books which help you to test your knowledge and your preparation. Read each topic again and again until you are sure that you understand the particular topics very well. Search online each topic to get more idea and understanding of the concepts. I know at the end this question gonna come to your mind. Where I can find the dumps? If you are thinking that by going through dumps you will get 90+ score in the certification and you will get a job, then it's better don't go for certification and no need to waste money and time. Never thing that you will get a job if you clear Java certification but yeah to some extent certification people will be preferred slightly over the people who don't have certifications. Why should I get Java SE 7 certified? Getting certified is an investment in yourself and in your career. The study, training and practice that you experience as a part of becoming certified will increase your skills and knowledge. By becoming Java SE 7 certified - you show your employer, peers, and customers that you are proficient in the latest advances in Java programming. By preparing their 1z0-803 questions answers and practice tests candidates can succeed in this exam securing brilliant marks.We offer 1z0-803 dumps having most updated 1z0-803 Questions answers most likely similar to the real exam questions. Our 1z0-803 exam engine will further improve your exam preparation and lead you to an excellent success. Come and join us. Keep up the good work. Your blog is very informative and helpful. Waiting for more posts.